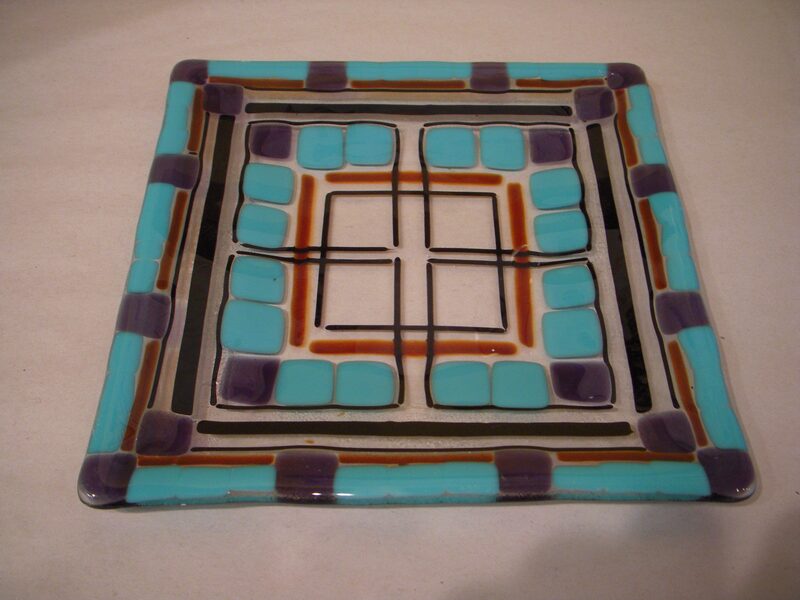 We have many base sizes ranging from 3 inches to 12 inches round or square. 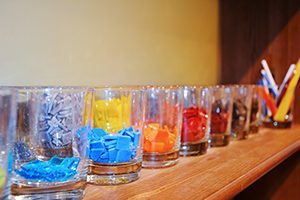 You select the glass base. 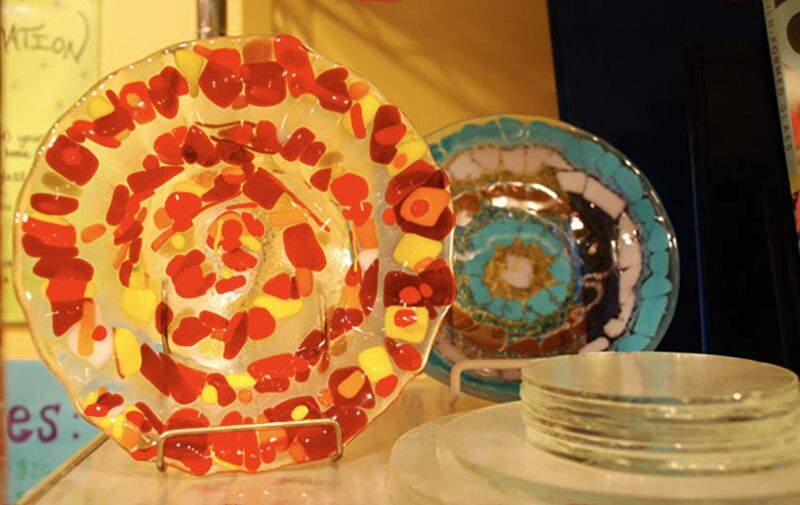 You can make plaques, jewelry, and coasters to name a few projects.From our vast selection of glass bits and pieces, you glue down your design. Pieces then can be shaped into bowls or plates (slumping) in a second firing. Prices include materials like hooks and bails. We then fuse the piece in our glass kiln. The turnaround time from the time your finished to pick up ranges from 10-14 days. We also call you when your glass project is ready. Slumping pieces into bowls and/or plates is an additional $20. All the pieces get a full fuse in our glass kiln. Only bowls and plates get slumped into a bisque mold for a second firing. You can make a reservation of 4 people or more by calling the studio. We confirm all reservation on Monday for the whole week. Sometimes the studio is rented out for private parties, so please call ahead to check availability. Groups of 12 or more require a $25 reservation fee. This guarantees you table space for your group and we will organize and package your items for easy distribution. We are a popular spot for school groups, office outings, bachelorette parties or just having a great time with friends and family. Interested in a private party at the studio? You can reserve the entire studio for your very own private party! The studio is great for non-profits, government organizations, private businesses, or individuals looking for a private space to create and have fun.